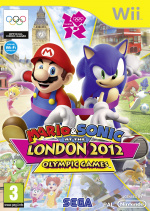 Like or loathe the sporting combination of plumber and hedgehog, SEGA's preparing to unleash another round of Mario and Sonic at the London 2012 Olympic Games to coincide with next year's English medal-a-thon. The Wii version hits North America on 15th November and Europe on 18th November, with the 3DS version a little behind in February. For some reason the Wii version will come in a yellow box — not gold, not red or blue, but yellow. Should certainly stand out from the crowd anyway. SEGA also sent over some new screenshots showing the heroes showing their appreciation for the 20 million or so sales the series has accrued so far. No wonder they're happy. A YELLOW Cover? Amazing... Is the 3DS Yellow Too? Also the Screen-Shots look rly good. But really, I'm considering the 3DS release if it turns out alright. At Best Buy, the boxes for Wii games are yellow when the game is used. Hm. I got bored of the first one very quickly so I won't be getting this but I like boxart. Im willing to bet that the boxart is more entertaining than the game itself! Looking forward to this one I have the other two. Any word what events are in this one? Like are they adding new ones or is it going to be the same ones as in the first one? I was original intending to get this game, but after seeing the yellow box, I have decided otherwise. These games get better with every iteration. It's just a shame that they're releasing a major Wii game when no one is playing the system anymore. Still though, I know everyone would like to see another Mario/Sonic combo game. The most obvious would probably be a mash-up of Mario Kart and the much better (thank you, game balance) Sonic Sega All Stars Racing. Haha, yellow. This looks like it will be great. I will get it on 3DS. they should have given a yellow box for donkey kong country returns. Speaking of yellow games, is anyone else curious whether they are going to have yellow cartridges in the icons for the donkey kong lands when they come to VC? Looks like a really fun game. Hopefully, the 3DS version has online multiplayer. I played the Wii one last week. It was quite good. shouldn't the box be pink to match with the 2012 logo? Mario & Sonic... badminton! Why aren´t there any good badminton games anyways, only tennis games? And thus nostalgia boners grow! AKA the only reason to buy these, it's the best part about them! Nice to know. If I have £30 spare after the rush of buying all those great games around November & December, I might pre-prder or pick this up near launch. DK will be so all over this. I hope it still has fencing. WAT IS RONG WIT DA YEWOW BOCKS ENIWAY?!??!?!?!?!?!! sorry. i like yellow. @Mariofanatic128: You might try renting the sequel, it was much better. Anyways, I hope this is the last one. I like the series, but seriously, this is getting old. 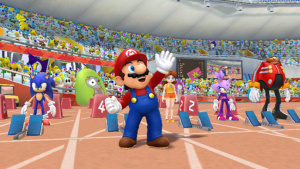 I'm glad it looks like they're going to do an improved summer olympics experience that'll be more on par with the last game, but I'm not getting another. 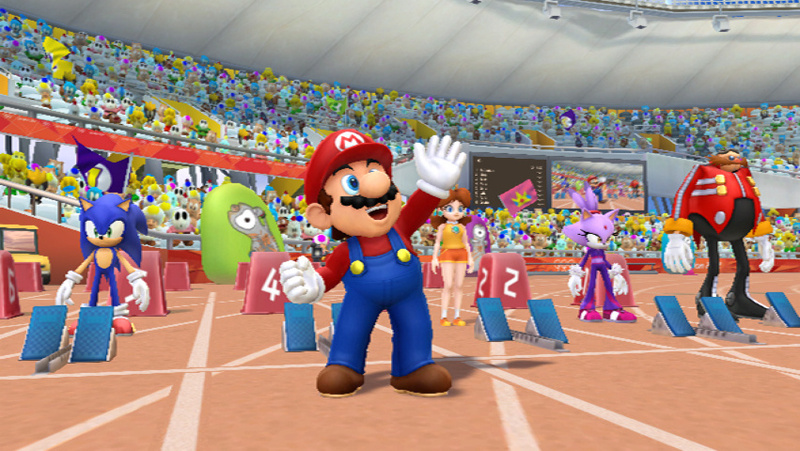 I mean, come on, even if you aren't going to do a platformer, you could still do Mario and Sonic Party, Mario and Sonic Kart, or Mario and Sonic Some-Sport-That's-Not-The-Olympics.